Philadelphia County is a county located in the commonwealth of Pennsylvania. Philadelphia County is one of the three original counties, along with Chester and Bucks counties, created by William Penn in November 1682. 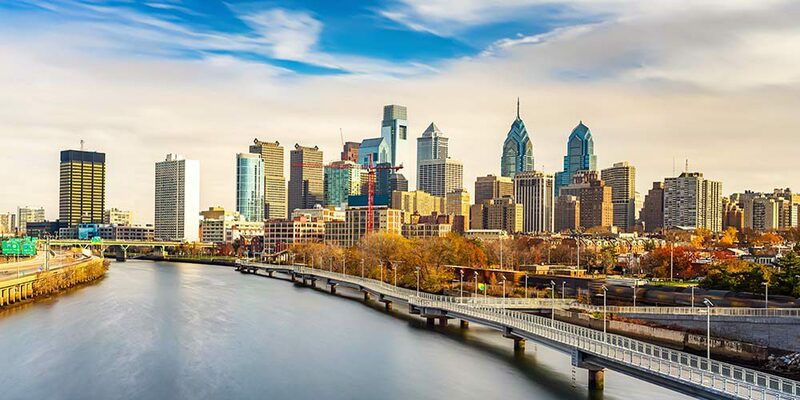 Since 1854, the county has been coterminous with the city of Philadelphia, which also serves as its seat. It is the most populous county in the United States coterminous with a municipality. The City of Philadelphia, as laid out by Penn, comprised only that portion of the present day city situated between South and Vine Streets and the Delaware and Schuylkill Rivers. Philadelphia has become racially and ethnically diverse over the years. Philadelphia County is the heart of the Philadelphia-Camden-Wilmington, PA-NJ-DE-MD Metropolitan Statistical Area. The Metropolitan Area ranks 6th most populous in the United States. Bodies of water include the Delaware River, Schuylkill River, Cobbs Creek, Wissahickon Creek, and Pennypack Creek. At the 2000 census, there were 1,517,550 people, 590,071 households and 352,272 families residing in the county. The median household income was $30,746 and the median family income was $37,036.